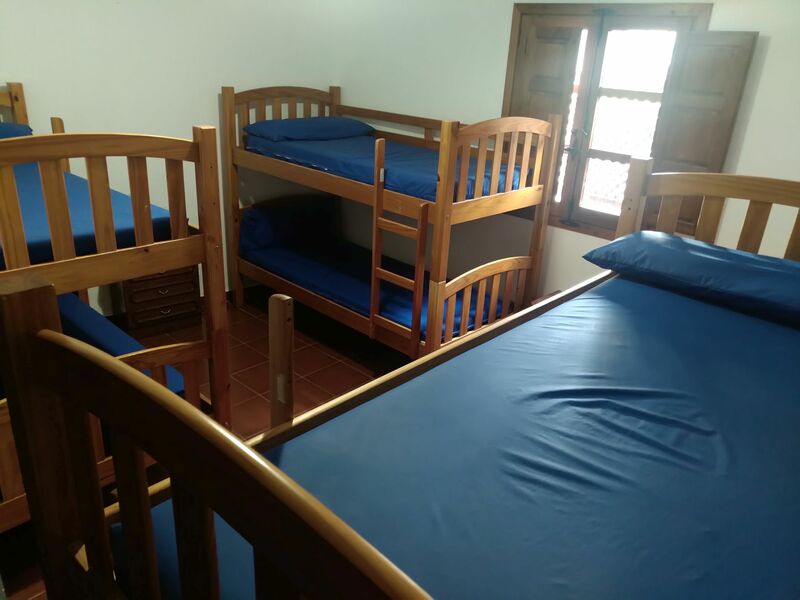 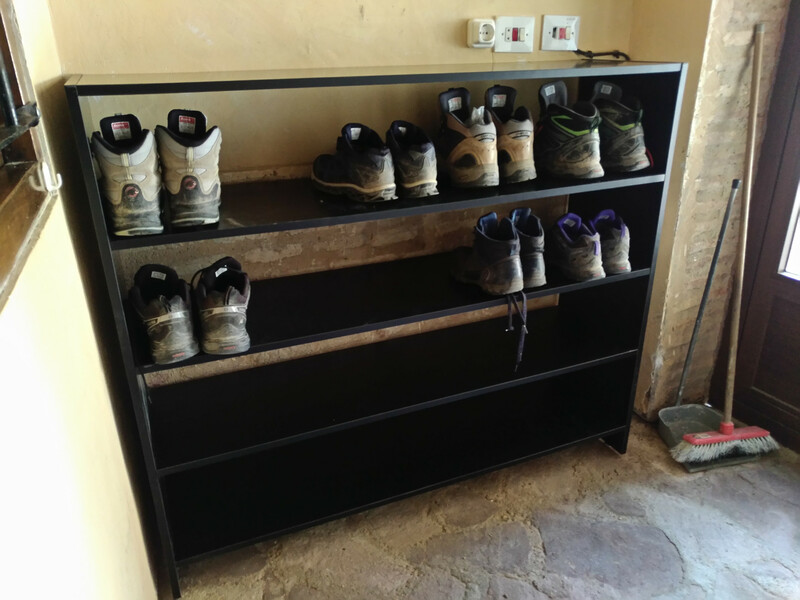 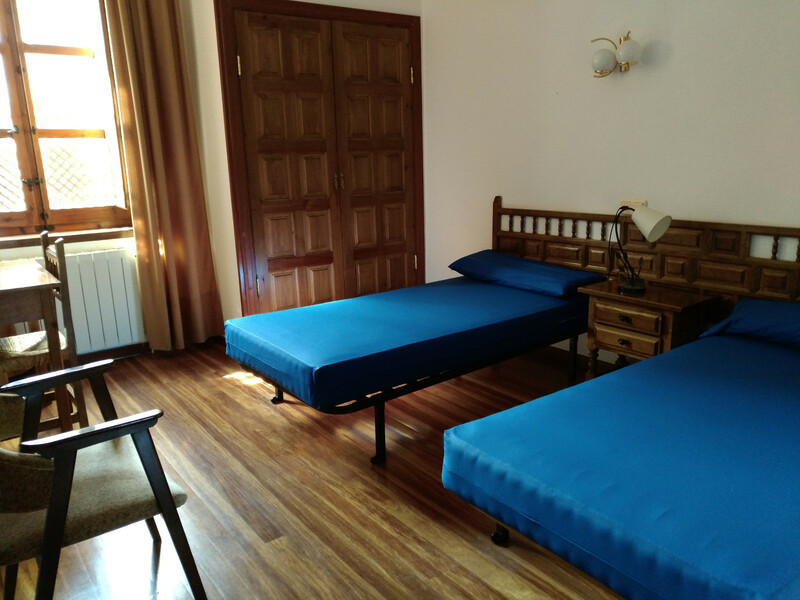 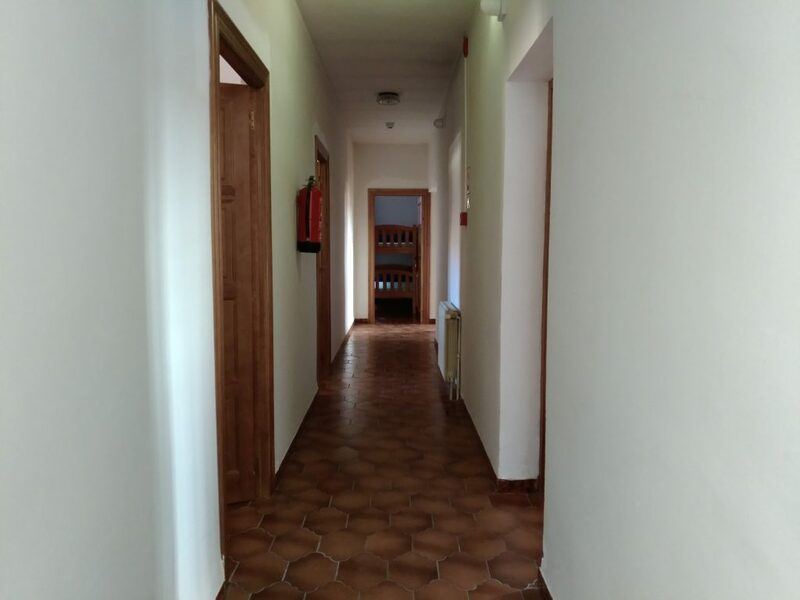 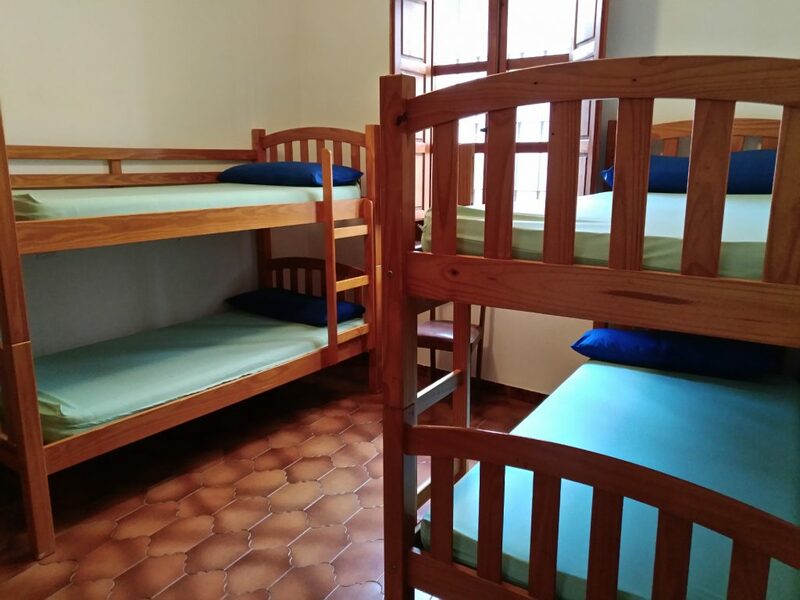 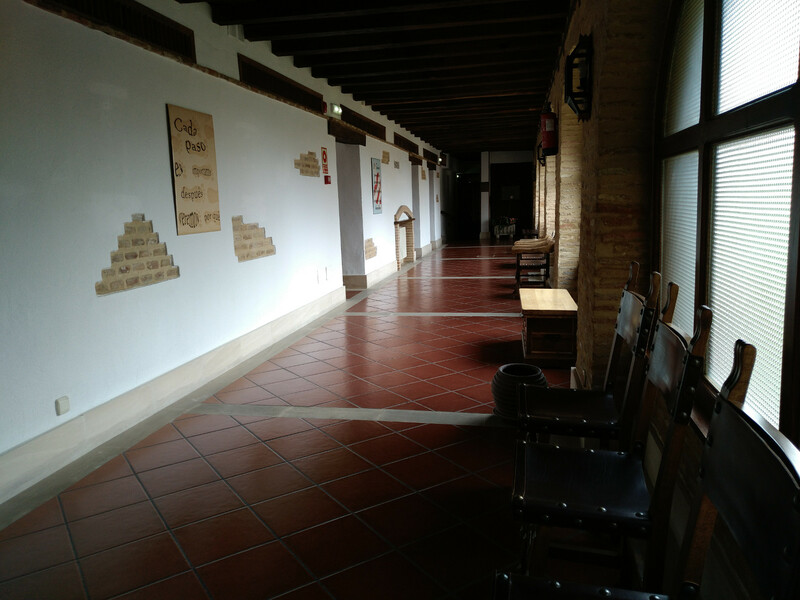 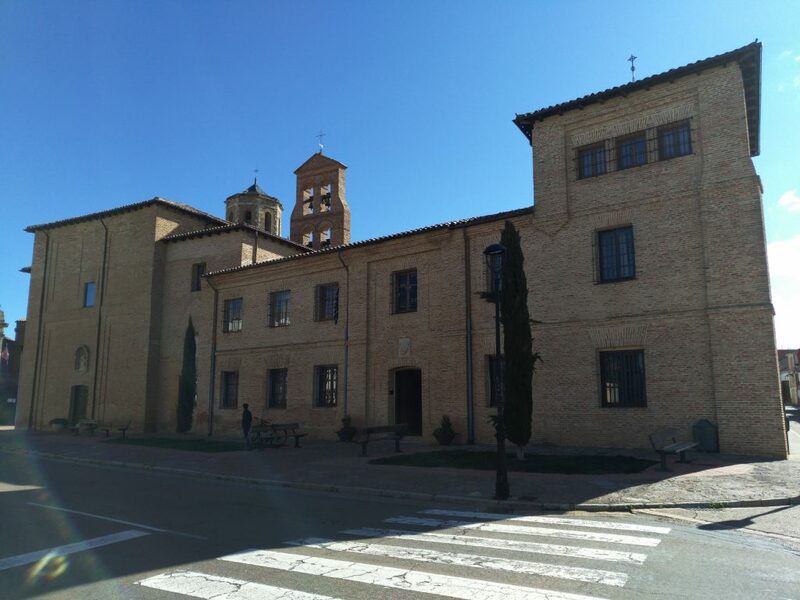 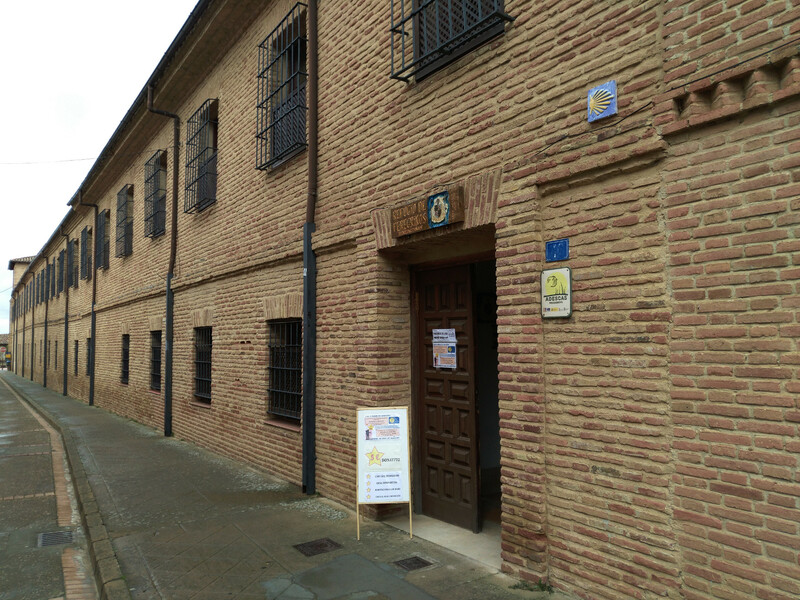 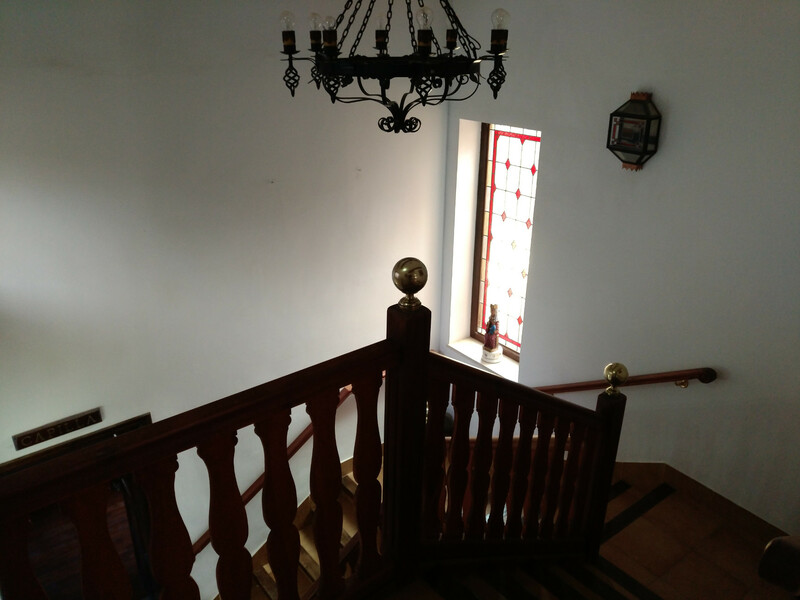 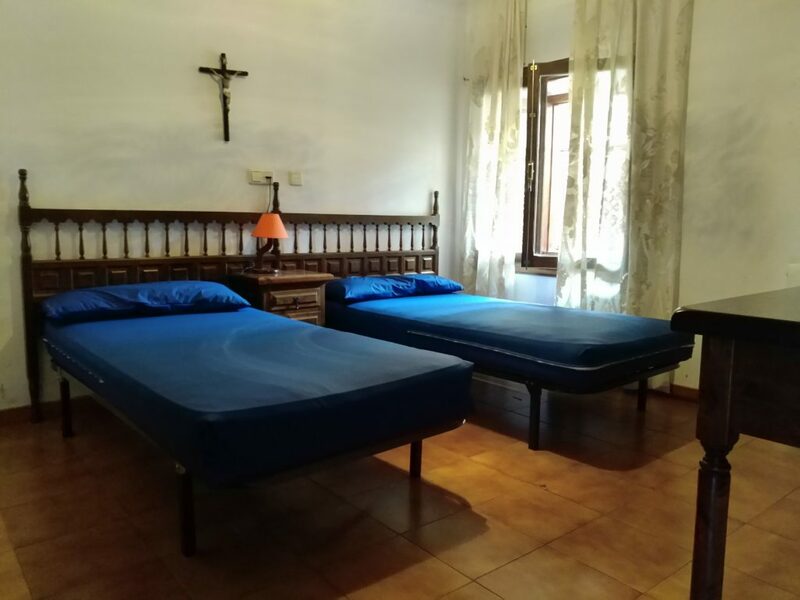 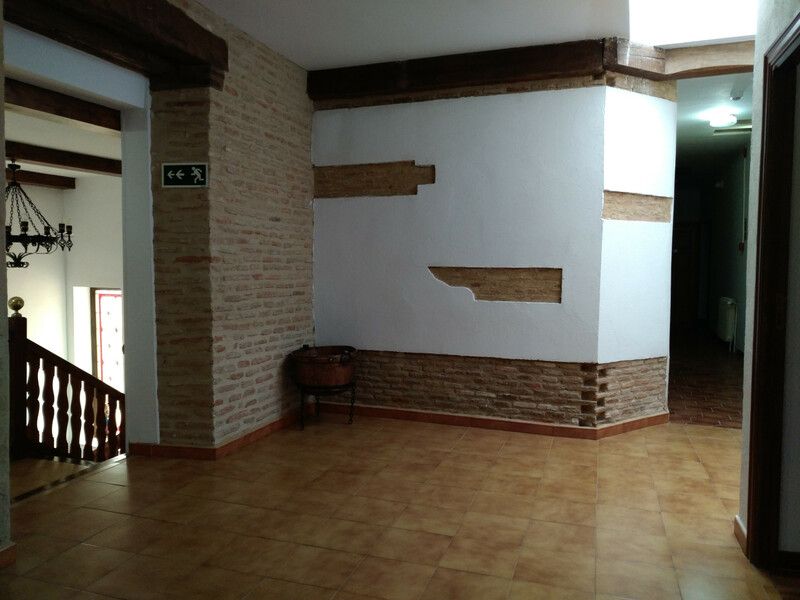 What is nowadays the hostel was originally part of the monastery Santa Cruz of the Benedictine mothers. 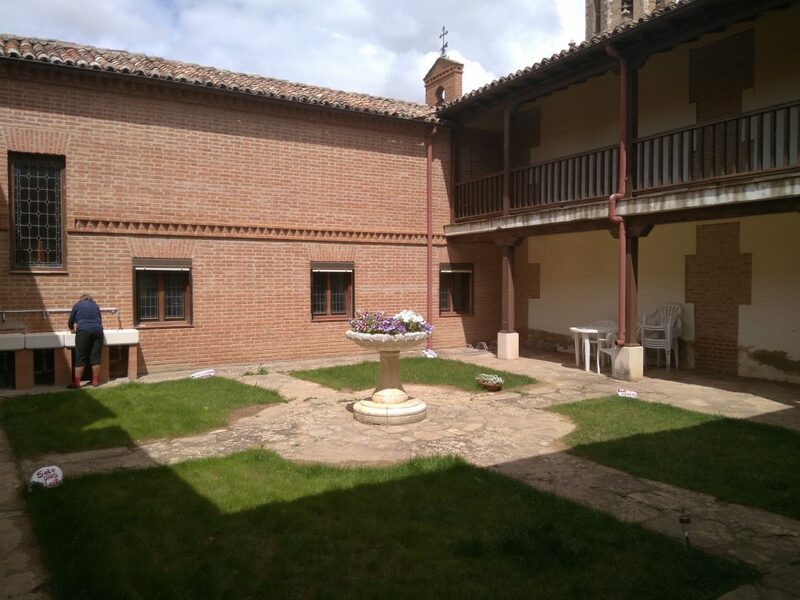 Later it was reformed to become a monastic hostelry, and today it is dedicated to welcoming pilgrims. 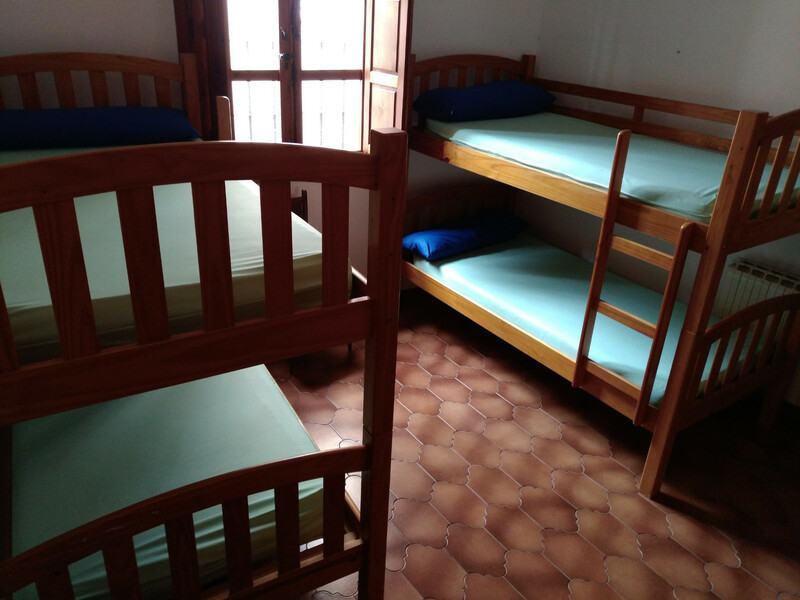 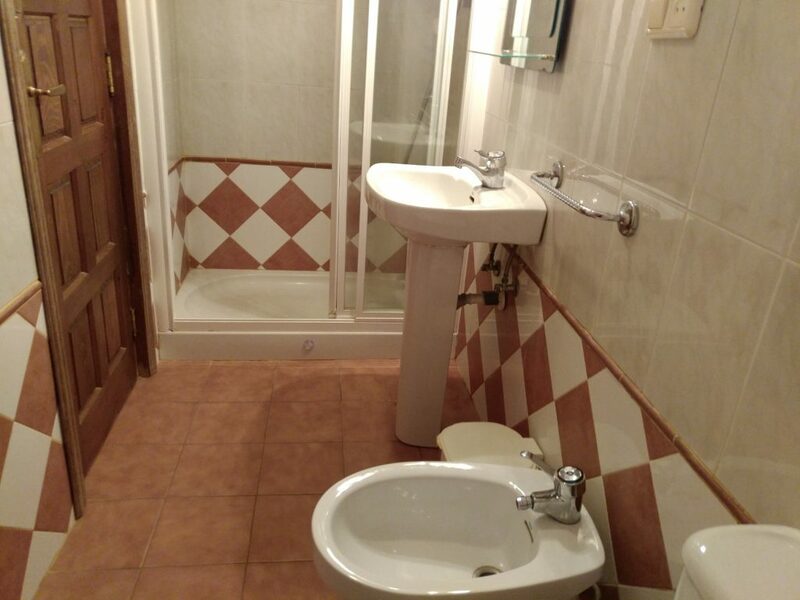 Thanks to its past, the hostel is a place of great beauty, worthy of knowing. 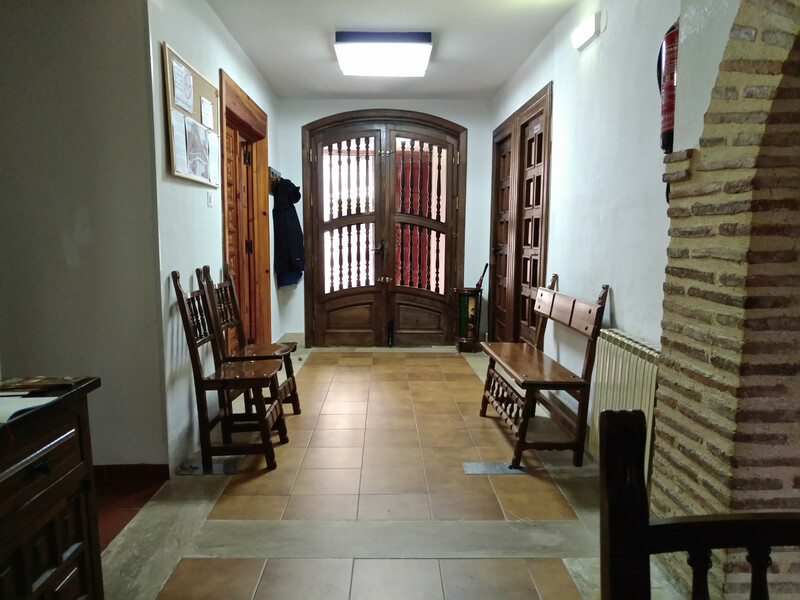 Many pilgrims who pass through it are really amazed. 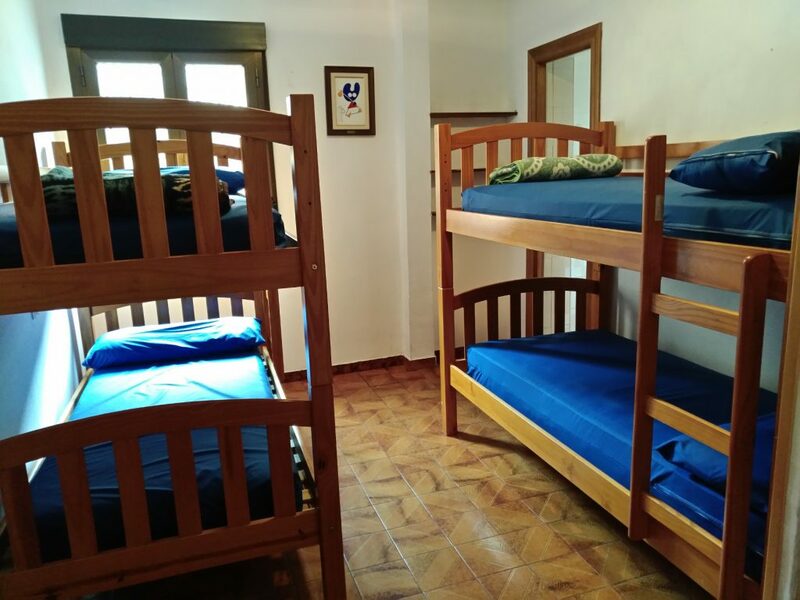 7 rooms with 4 bunk beds. 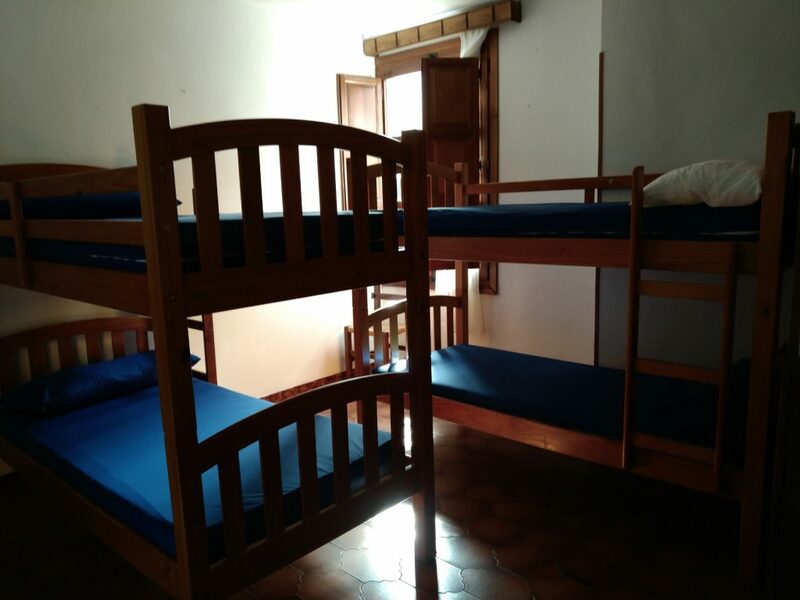 1 room with 6 bunk beds. 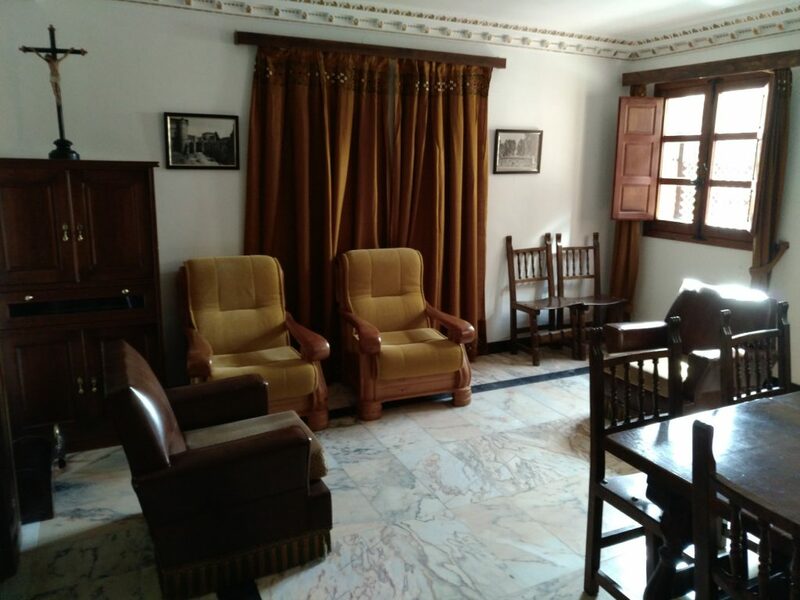 A sitting room to chat, sit and rest. 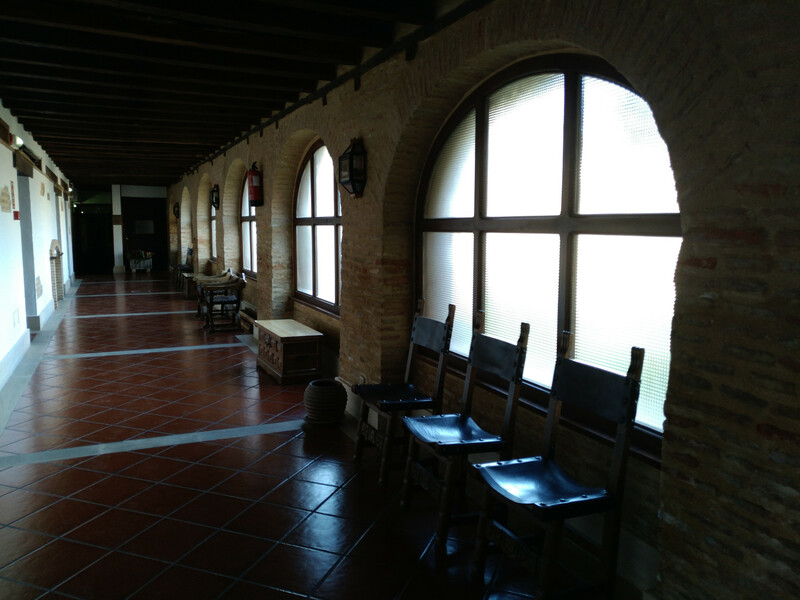 We usually meet in this room for the “pilgrim’s coffee” every afternoon. 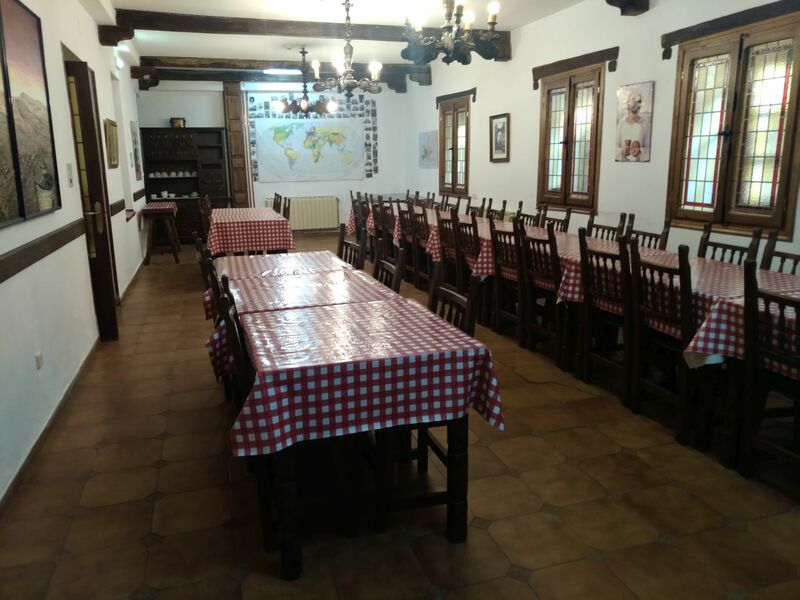 A large dining room where every night hospitaleros and pilgrims share dinner, and in the morning, pilgrims can have breakfast before leaving. 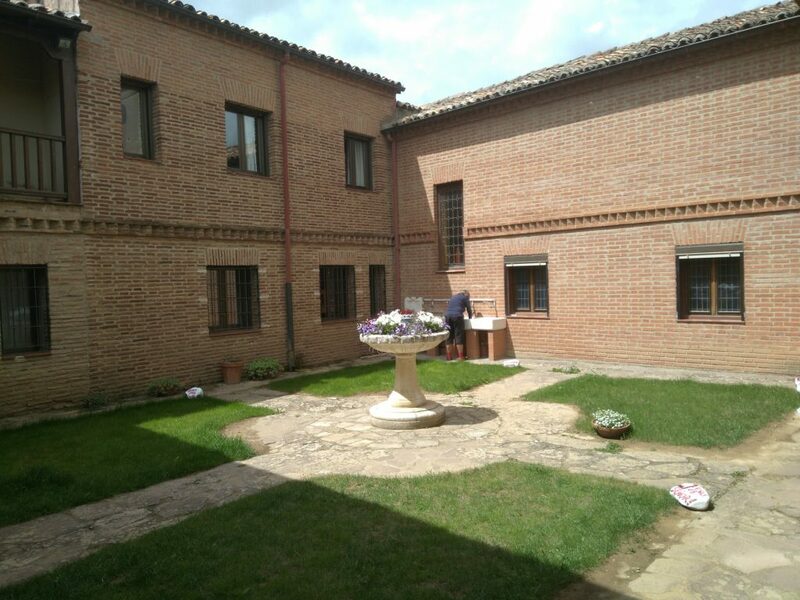 A courtyard with clothes lines and laundry. 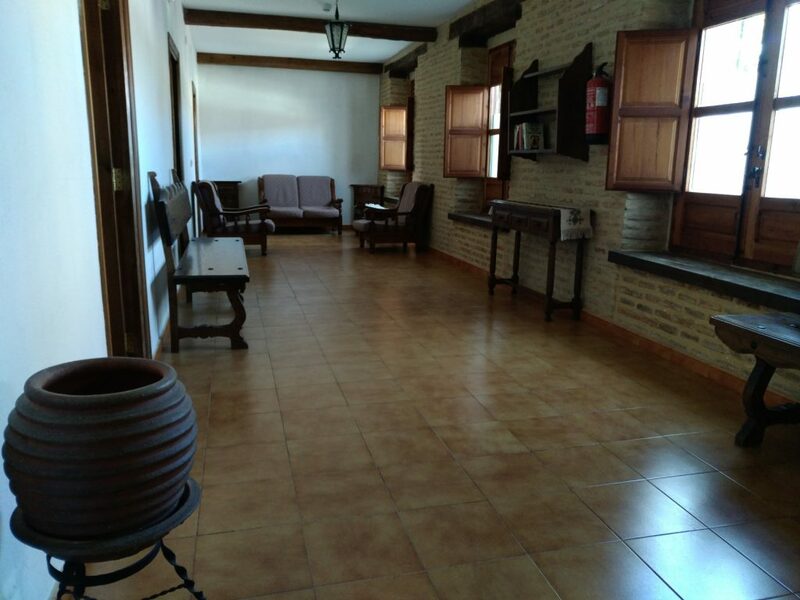 And where you can also relax outdoors. 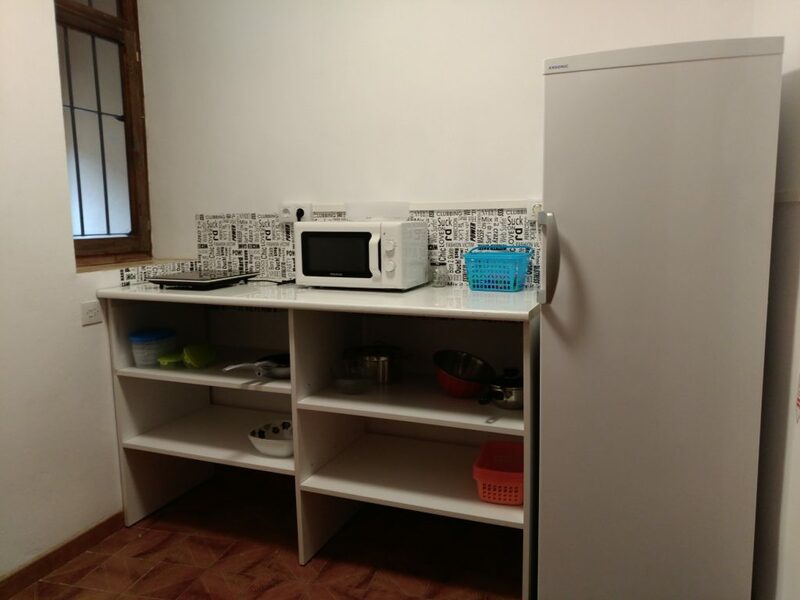 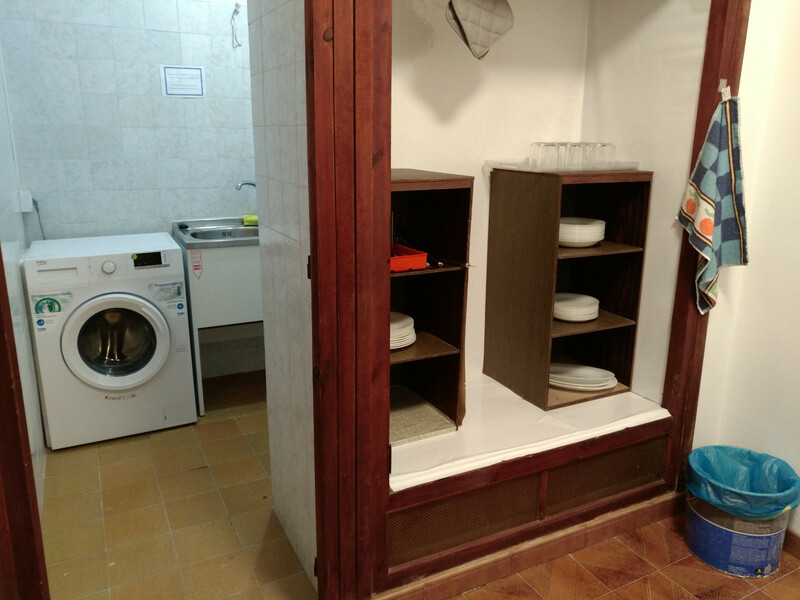 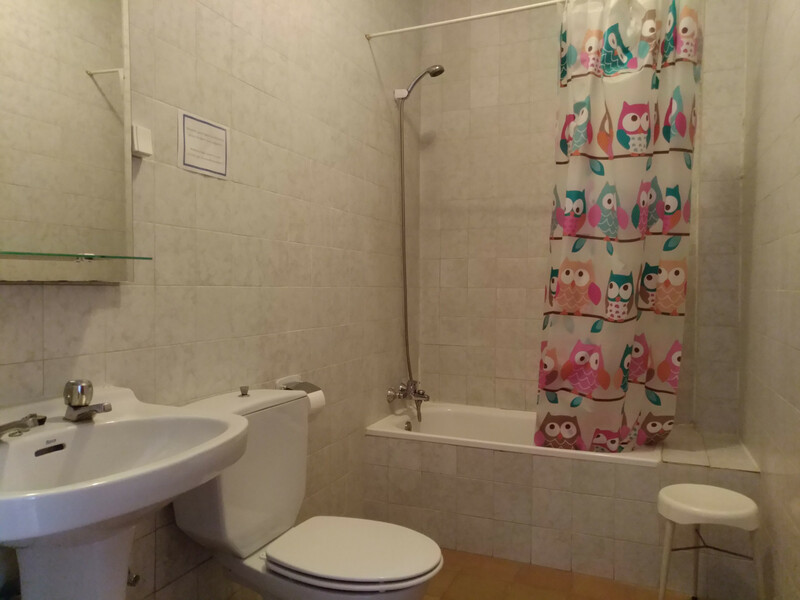 A basic kitchen with vitroceramic hob and fridge, and also a washing machine (3 €). 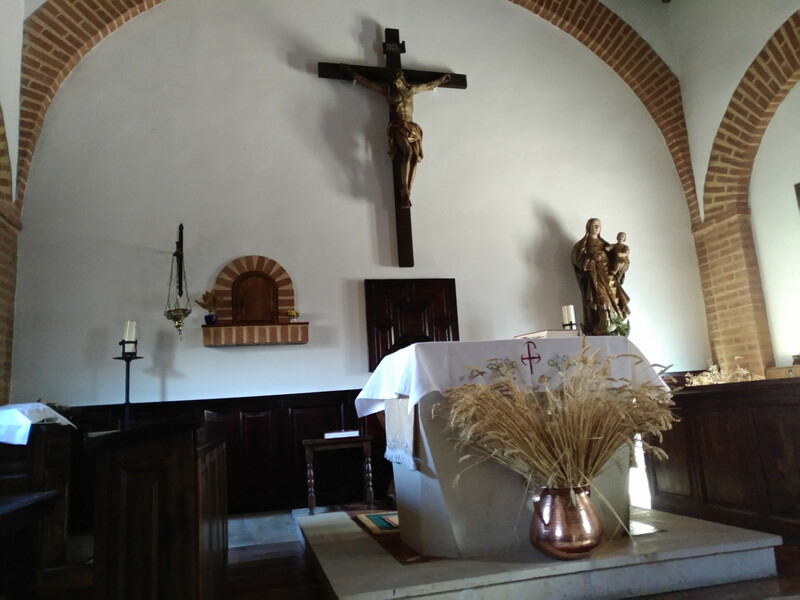 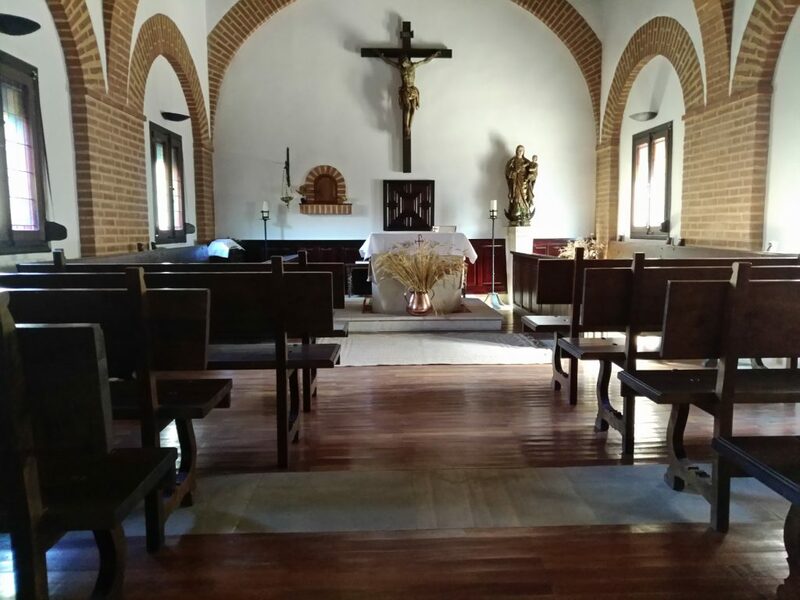 A beautiful chapel, where you can calmly reflect on the experience of the Camino.